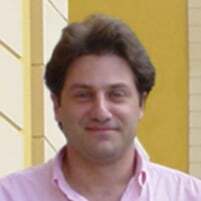 Kostis Sagonas is an academic who has been heavily involved in the development of Erlang and its implementation since 1999. At Uppsala University, he has led the development team of the HiPE (High Performance Erlang) native code compiler that nowadays is part of Erlang/OTP. Together with his students, first at Uppsala University and at the National Technical University of Athens, he has proposed various changes and additions to the language (most notably: bit-level pattern matching and bit-stream comprehensions, and the language of type and spec declarations) and has contributed to Erlang's compiler and runtime system. Besides HiPE, he has designed and implemented software development tools for Erlang (Dialyzer, TypEr, Tidier, PropEr, Concuerror, CutEr, ...) and has contributed bug fixes to many open-source Erlang projects.